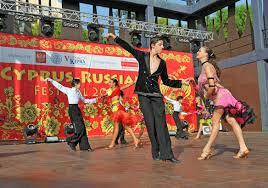 For the 12th time, the Cyprus-Russian festival will be held in Cyprus. This annual event, celebrated by the residents and visitors of the island, brings together all lovers of Cypriot and Russian culture, artists, dancers, musicians and craftsmen from both countries. Every year the program of events and concerts is expanding, turning the event into a real international fest! It's nice to see how the Russian community of the island is constantly expanding and growing, the number of annual events is increasing. In the real estate market, in which our company is your reliable partner, there are also more and more interesting objects that suit the tastes of not only local customers, but also Russian and foreign investors. Specialists of our company will gladly acquaint you with the most famous projects, not only in the beloved, and popular Limassol, but in all the cities of Cyprus, helping you to find an optimal real estate option that suit your taste!